It's been a few weeks since my last post. Not exclusively because I am lazy, but also because I have been sick and have been behind the workload wave for a few weeks, with tax audits and other fun experiences. As we enter the final lap of getting new versions of Lasso live, we have also started tightening up a new pricing metaphor, and thought it would be consistent with LassoSoft's values to share the metaphor with the community and get some feedback before we officially pull the trigger and start selling. I'll re-iterate, it would be nice if Lasso were free. Unfortunately, components for an alternative business model (i.e. selling IDEs and the like) are not yet in existence. For the Lasso machine to continue and grow, it needs to make money until we get there. Everyone is certainly in agreement, internally and externally, that the old (and current) business model - unchanged for almost 15 years and the basis of the problems of the last few years - needed a good head shake. As a result, we are changing all of the pricing. We are introducing a number of different metaphors which will effectively radically alter the way Lasso is purchased. We heard and digested many, many ideas on how we might rethink Lasso pricing so that we can intelligently create hierarchy and pricing levels which more meaningfully match usage and corporate budgets. Most emails and suggestions focused around either copying Microsoft or Adobe product pricing models, which didn't make sense. Many more focused on pricing levels with database connectivity, server connections or hardware setup. However, database connectivity implies we recommend one or another (which we don't, and developers should have the choice), server connections seems draconian and inconsistent with the way the web is growing, and hardware or CPU based: well, that's just messy. However, after much thought and debate, we found a great solution. I hope everyone will agree. At the heart of the new pricing model is the "instance". Effectively, an "instance" of Lasso is a distinct entity of Lasso which is running on an OS, where in recent versions of Lasso multiple entities can be run on the same OS. Any one instance of Lasso can run an unlimited number of websites or systems (where typically the bottleneck becomes theoretical hardware capacity, not number of sites). All elder versions of Lasso only had the capacity to run one instance (versions 3.6, 5, 6, and 7). One instance, one server. Lasso 8 has the ability to run multiple instances, as "Lasso Sites". Most individuals who run Lasso 8 and 9 run single instances of Lasso 8 on the same box - the others almost all run more than one instance on a box merely have a second for development purposes. 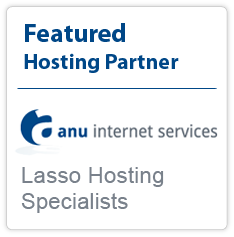 Running a single site or system from one installation of Lasso 8 only requires one instance. Some individuals running hundreds of sites from one box have separated their websites between multiple instances relatively haphazardly. Dedicated hosting companies, the outliers, usually run instances for each client. This Instance Theory becomes much more important in Lasso 9, where the lean mean machine of Lasso 9 should effectively run one instance, or vertical, for a group of friendly websites. Websites under one instance should be, for security and stability, trusting of one another. (Like one office building where everyone has a key to the front door, but everyone has their own office). This fact has allowed us to create a pricing methodology which more effectively addresses the price of Lasso as directly proportional to the use of Lasso by looking at how many instances are used by Lasso. That's just a taste, it'll make more sense once the new LassoSoft website is live. The most exciting thing for us is the creation of a new group called "The CLD", which stands for "Certified Lasso Developer". This is a monthly membership which will have many different features and benefits for developers who become members. These benefits will come to light when our new website is launched. I'll talk more about CLDs in future posts. One side benefit is that CLDs will get the ability to run instances of Lasso 8 and 9 on their machines, which will effectively allow them to run less restricted copies during development than the current EVAL. We will be introducing a leased license version for Lasso. This lowers the barrier to entry for Lasso (no single up-front hit for a copy), and allows leased licences to receive unlimited upgrades in the future. This makes it very easy to budget for the future on both your and our side, and keeps the server installation young and perky. The Master license will not be tied to a version nor a OS type. It will be tied to instances on an OS. Thus, with a 5 instance version of Lasso Master, you can run 3 instances of 8 and 2 instances of 9. This should make it easy for people to move to Lasso 9 in a production environment in their own time (as 8 and 9 can run simultaneously), and people can upgrade from one to another easy should they wish. We are hoping most people move to this metaphor, and thus we are pricing aggressively to get people here. This is an everyone-wins metaphor. Upgrade costs will be irrelevant, as the lease will be low-cost and can be assigned instantly. You can determine the best cycle for your payment - if you want to pay every 12 months, you pay for 12 months of the lease, and it will come up for renewal each year. If you have a decade-old copy of Lasso or don't have one at all, the monthly fee is the same. If you shut your server down, the lease can also be shut down. *These licences require the ability to "phone-home", and thus need to have a surface touching the web. We will also be offering the same perpetual licences as before. Buy it up front, and amortize it at your leisure. However, these licences will now have pricing strata, depending on how many instances you need running on your OS. We will be offering license upgrades at a tiered rate depending on the version of the license you currently hold. 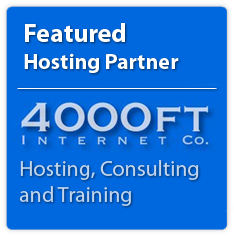 Last but not least, we will be offering inexpensive monthly instances for hosting providers. These low-level instance costs should allow hosting providers to offer extraordinarily competitive pricing to the general public and quickly instantiate new instances of Lasso dynamically. No thresholds, just as clients sign up. To take advantage of this pricing, hosting providers will need to be certified providers and pay a monthly membership fee. Before we formally set these in stone, I look forward to your feedback. << "End Client" vs "Developer"
I personally prefer the license model we have now. I guess its fine to implement the others for people who prefer that, but still offer what we have and leave it alone. I like Lasso and sell it when I can. I'll buy an upgrade to 8.6 if the model remains the same for the time being. Beyond that, forcing me into these other models is not cost effective for me and will lead me in another direction java, php, ASP.NET, python etc. Nice. This could work well — depending on the pricing structure. Providing the scaling of the instance to price ratio is realistic and well balanced then this is really positive. Having a wider choice of options that better suit the diverse online businesses & projects out there is definitely a good thing. I agree with John M. If "per instance" licensing is going to interfere my shared servers it is not worth the headache. I'm also not excited about "the lease"(ing) for a monthly fee. When will software companies learn? It good for you... not good for us. Instance pricing, monthly memberships, monthly instances for certified providers and perpetual licenses... on the day that XCode arrived on the AppStore for $5, having four different pricing structures for Lasso needs a lot of explaining. I really hope that 8.6 isn't going to introduce an all new licensing scheme, especially a "per instance" one. If the "per instance" pricing is going to end up making it considerably more expensive to license Lasso for each of our shared servers, we will be seriously reevaluating our support of it going forward. I personally hate time-limited licenses, per-seat licenses, etc. and we have historically avoided offering products that insist on using this model. They create way too much of a management headache. Sounds interesting, particularly the mixed instance license. This sounds very promising, and I look forward to a big year with new, updated products and having Lasso be more of a partner than just a vendor. It indicates that you have actually listened to us.